🌟 I don’t expect to be the next best seller after reading this book but it was definitely a good starting point and I did highlight many paragraphs and tips within the book. There are many things that I knew by my experience as a reader when you start to notice these things. 🌟 The books almost answers all questions you have from Where to sit, how to start, what to write, talks about common mistakes and even tells you if you should write using a pen or using a keyboard. 🌟 I would have preferred if the author used more recent examples in the book because most of her examples were from classics and books published in the 1900 and 1800s. Although some examples were goods and I got a few new ideas but they were not so relatable. And beware of the spoilers if you like classics and you’re reading this! 🌟 Most of you already know that I am trying to write a short story for a start and then I have a few ideas for full novels. My current WIP is a Cinderella retelling! 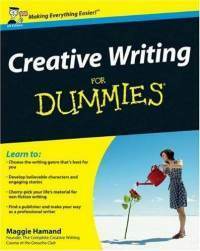 I wanted to read 2 books about writing before writing it but I changed my mind. I am going to start it and since writing is all about re-writing, I am going to write the first draft and then read another book to see any mistakes I did while writing it. 🌟 I have the full outline of my story and I have some of the dialogue in my mind, I will probably write it in 3rd Person POV. I will try to finish it before the end of the year since it is a short one. 🌟 I don’t have much to say about it so I will leave another update later when I have more progression!